Adds lasting support and fullness. 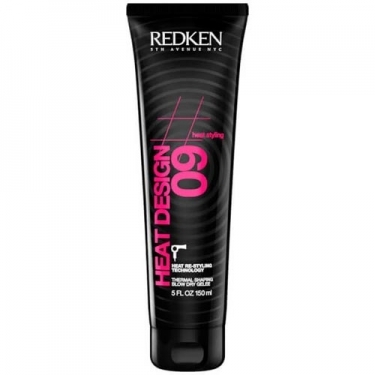 DESCRIPTION: Heat Design 09 from Redken is a thermal moulding jelly that works to defend hair against Styling products up to 232 ° C. Developed with the innovative Heat Restyling technology, the lightweight formula offers long-lasting retention while remaining flexible and reusable throughout the day. Provides protection from heat and frizz combat as it dries, leaving hair smooth and smooth with enhanced glow and fullness. Perfect for blending with other Redken Styling products.